The “Epic” day started almost two weeks prior, as the news media throughout the state claimed “Eddie Would Go”. 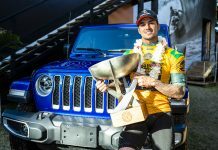 Thou-sands made the trek from around the island to witness only the ninth time the Quiksilver In Memory of Eddie Aikau at Waimea Bay would be challenged. At five o’clock in the morning, the beach was packed with approximately ten to 15,000 spectators. The scaffoldings towered up five stories, for television, media and broadcast crews sharing the live event worldwide via the internet. The weather report called for huge swells from the northwest pacific, with heights of up to 40 feet. By daylight, the crowd looked puzzled as the waves came in at less than ten feet high, and without a chance of holding the con-test. The Quiksilver organizers have a standard wave height of 20 feet or larger, and the swells need to remain that size for at least eight hours. This time, almost two weeks later, the news media announced the event. However, they used their words conservatively, as to not disappoint, reiterating that the “official call” will be made at 8:00 a.m.
For the second call, officials worked with the City and County of Honolulu to plan for a safer event. Parking was limited around the bay, barricades were placed for pedestrian safety and the park was opened at 5:00 am. As the park opened, the spectators rushed the beach, by either walking quickly and/or running to get the best seat in the house. In the dark with only a few lights, it looked like a scene from the “Walking Dead”! 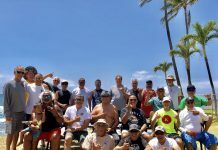 The call was made by Race officials and Race Director Keone (son of the legendary George Downing), who briefed the officials and spotters with the rules of the event. At exactly 8:00 a.m. the official horn started the contest. 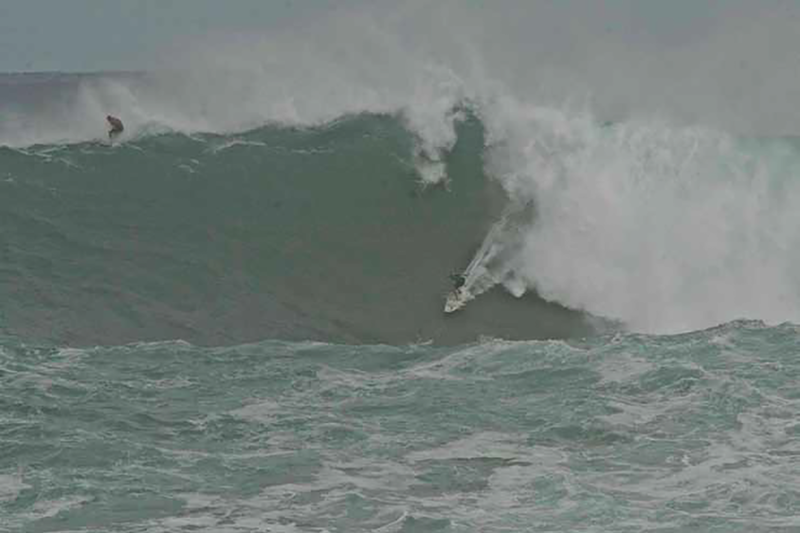 Then in the first heat sit-ting line up, Shane Dorian dropped into some giant waves and kept a lead through-out his two heats. 2001 Champion Ross Clarke-Jones was consistent throughout his two amazing heats, and held the lead go-ing into the second round. Although, it was John-John Florence who came through on all of his waves with high scores, and winning the 31st Quiksilver In Memory of Eddie Aikau. 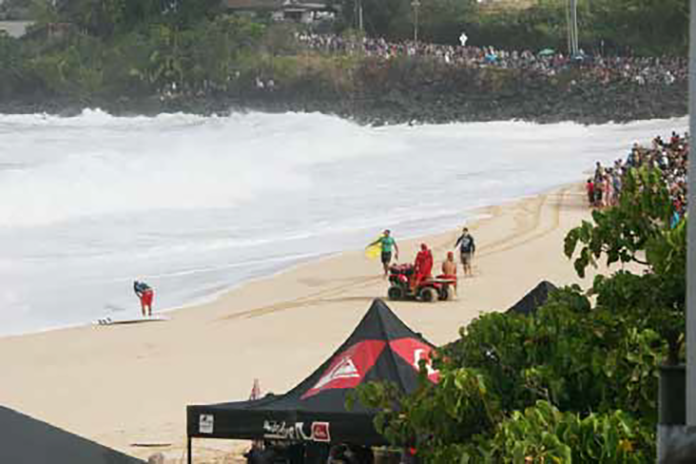 Mahalo to The Hawaiian Water patrol for creating an exciting spectacle, and keeping the bay safe for the contestants. The spectators were treated to some thrill-ing, and exciting water safety displayed through the day. Special thanks to our everyday lifeguards at the bay for protecting those in and out of the water! The Bay called the day, and it was a huge success for everyone in attendance and online. Surfs up! Be safe. When in doubt, don’t go out.